Mt Krakatau, Sinabung and Merapi Volcanoes Location Map. Source of the original map: USGS. Map enhanced by Fire-Earth. Click image to enlarge. Krakatau Islands Location Map. Original map enhanced by Fire-Earth. The Island Map (Simkin and Fiske, 1983). Image may be subject to copyright. The Krakatoa eruption affected the climate driving the weather patterns wild for the next 5 years. Average global temperatures fell by about 1.2 °C in the following years, returning to normal only in 1888. Krakatoa is a volcanic island in the Sunda Strait located between Indonesian islands of Java and Sumatra. Both the volcano and island group share the same name. Four enormous explosions almost entirely destroyed Krakatoa island on August 27, 1883. The violent explosions were reportedly heard in Perth, Western Australia, some 3,500 km away. It was heard even on the island of Rodrigues near Mauritius, about 4,800 km away. The shockwave from the last explosion, which ejected volcanic matter 80 km into the atmosphere, echoed around the planet seven times. An 1888 lithograph of the 1883 violent explosion of Krakatau. 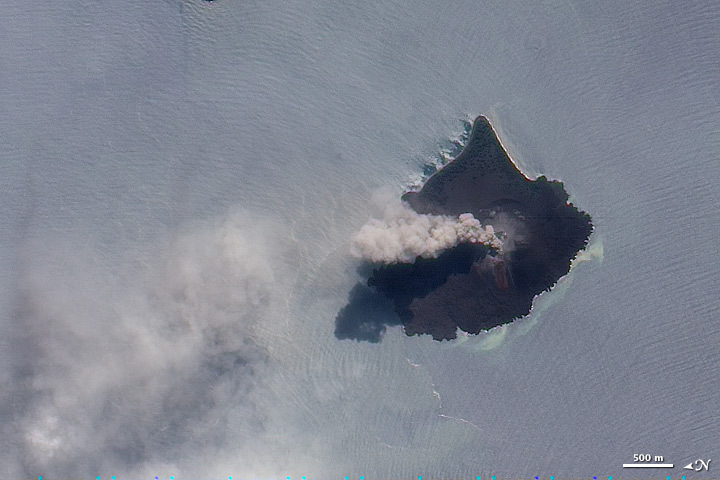 The eruption ejected about 21 cubic kilometers of volcanic matter and completely destroyed two-thirds of the Krakatoa island. 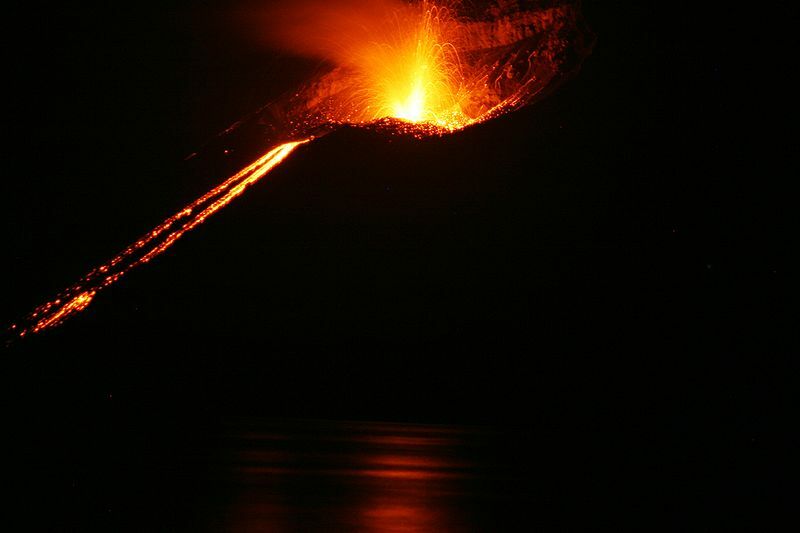 Krakatau Erption in 2008. Credit: Thomas.Schiet. Click image to enlarge. About 1,000 Villagers fled the area after three loud explosions were heard from Mount Anak Krakatau, reports say. “We received information that the number of earthquakes increased to 933 on Friday. This is harmless as long as the villagers still stay at least two kilometers away,” Anto Pambudi, head of the team observing Mt. Anak Krakatau said.